Nottingham Forest striker Dexter Blackstock has been ruled out for the rest of the season with a knee injury. 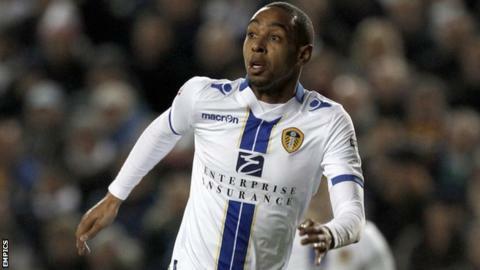 Blackstock, 27, had been on loan with Leeds but has now returned to his parent club and will undergo surgery. The former Southampton and QPR man scored once in four appearances for Brian McDermott's side. "He fitted in really well and you can see from his performances how much he brought to the team," Leeds assistant Nigel Gibbs told the club website.